Grated mango pickle is the all time favorite to one and all. It is the season for pickles with raw mangoes. We get different varieties of pickles in the market but we do not get it. So we prefer to make it, and we put the seed also in it. It increases the taste of the pickle. Serve it with hot rice. Peel and Grate the mangoes. Roast the fenugreek seeds and make it fine powder. 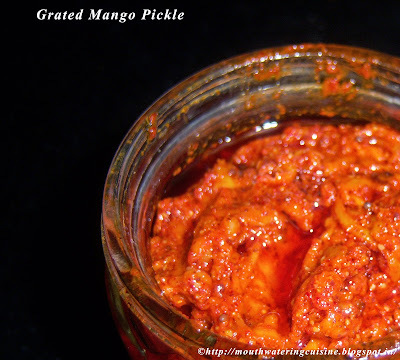 Mix salt, turmeric powder and red chilli powder to the grated mangoes. Heat oil in a pan add black gram, mustard seeds, red chilies, then add fenugreek powder and asafoetida. Let the oil come to the normal room temperature. Add this oil to the above grated mango masala. Mix it well. Store it in a clean and dry container. Normally we use glass containers for these pickles. Use only dry and clean spoon to serve it. 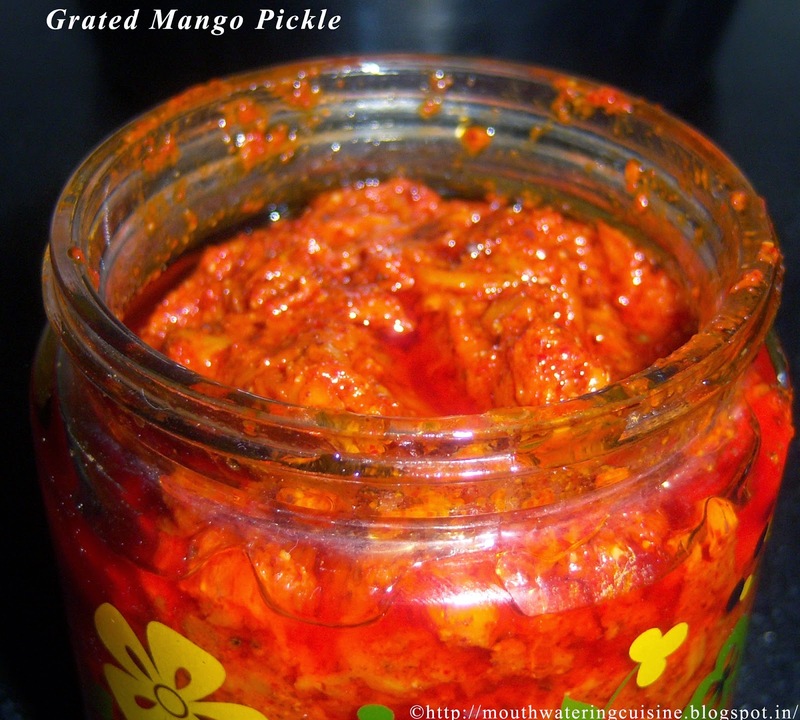 Serve grated mango pickle with rice.